As the parent of a two year old and a one year old I know a thing or two about operating on little sleep. There are times when I wonder if I'll ever get a full night's sleep again. Which begs the question, "what if I stopped sleeping?" That question is the focus of an ASAP Science video. What If You Stopped Sleeping? explains the effects of sleep deprivation as well as the effects of sleeping too much. Sleep Duration, Sleep Deprivation, Sleep Purpose. Scholastic Study Jams are slideshows and animations that provide a short overview of various topics in science and math. The Human Body Study Jams from Scholastic provide short overviews of topics in anatomy and physiology. There are six Human Body Study Jams; skeletal system, nervous system, digestive system, respiratory system, muscular system, and circulatory system. 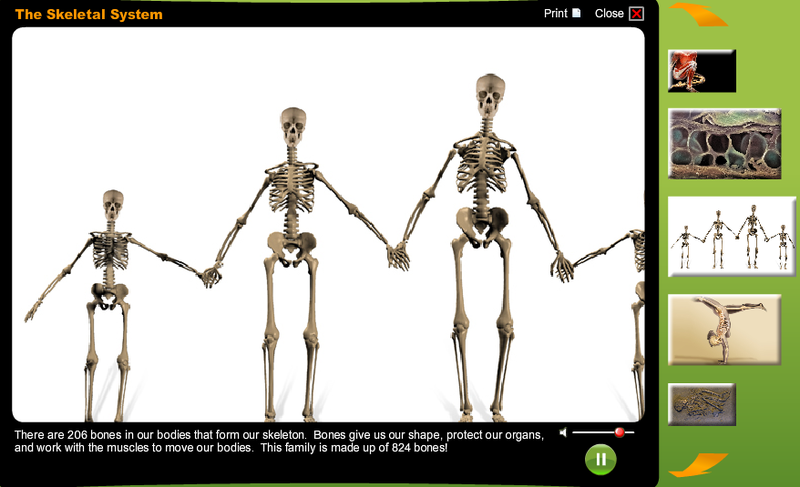 The Human Body Study Jams from Scholastic could be useful resources for elementary school or middle school students to review prior to a lesson that you teach to them. The Study Jams could also be good review materials for students. You Can Get Anything You Want... Happy Thanksgiving! Today is Thanksgiving Day in the United States. Somewhere in the last 50 years it became a tradition that classic rock stations play Alice's Restaurant Massacree at noon on Thanksgiving Day. And it has become a tradition for the last ten years that I post a video of Alice's Restaurant Massacree here on Free Technology for Teachers. If you search for the song on Wolfram Alpha you will find a chart of Wikipedia traffic for the search term "Alice's Restaurant." So the question/ cultural history lesson for students is "why do people search for that term around Thanksgiving?" A few years ago I read Mount Everest, The Reconnaissance 1921 which I downloaded for free from Google Books. In the introduction there is a three page explanation of the methods used to measure the height of Mount Everest. An explanation of the differences in measurements is also provided in the introduction. Part of that explanation includes differences in snow fall, cyclical deviations of gravity, and differences atmospheric refraction when observations were made. I'm not a mathematics teacher and will never pretend to be one, but reading that introduction did get me thinking about a possible mathematics lesson. 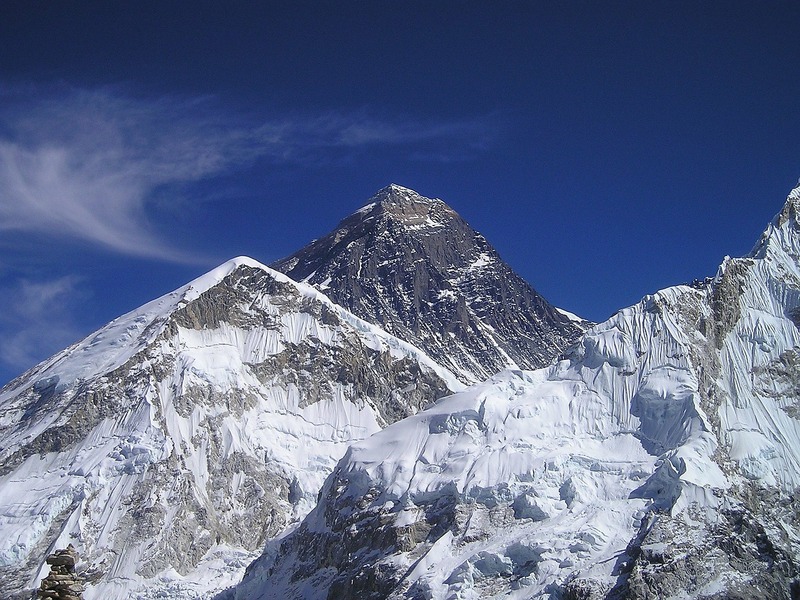 Turn to pages 10 through 13 of Mount Everest, The Reconnaissance 1921 and read about the difficulties of accurately measuring Mount Everest in the late 19th and early 20th Centuries. It's interesting to note that most accepted measurements were more than 100 feet higher than today's accepted measurement. Tell your students that Mount Everest has shrunk over the last 100 years and ask them to solve the mystery of the shrinking mountain.